Welcome to a fresh & fun dining experience at P’s Pizza House! We are not the usual pizza joint, in fact, we have evolved into much more. We like to think of ourselves as a progressive American eatery in Northwest Iowa (and coming soon to South Dakota!) serving modern American fare, classic cocktails, and the best brews around. We are open daily for dinner, and also for lunch on the weekend (Sunday hours are seasonal). 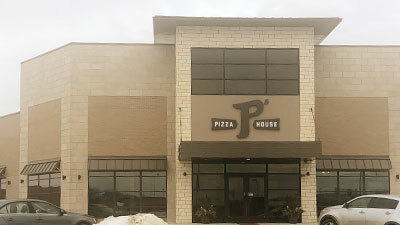 We started out years ago as Mr. P’s Pizza and evolved into P’s Pizza House; however, most refer to us as just P’s. 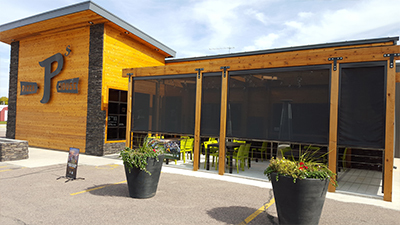 Although we are known for our signature pizza and wings, the menu is ever evolving and includes amazing pasta dishes, gourmet burgers, fresh seasonal salads, and more. Our drink offerings are as important to us as the atmosphere and the fare. We have a broad cocktail selection that has all the classics plus innovative favorites. We have some of the best bourbons around, but definitely focus on beer. We have become known as a place to get the best American made craft brew selection around. We pride ourself in knowing that some of our draft selections will not be found on tap anywhere in the area. The P’s atmosphere is important to us. We want you to feel comfortable during your experience. We are always going to be fresh, clean, relaxed, and fun! 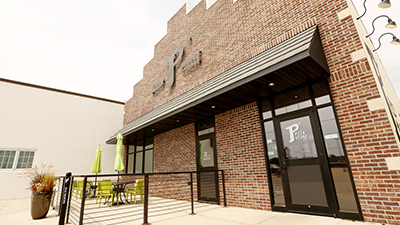 We know you can pick anywhere to enjoy a meal and we want that to be at P’s Pizza House.